We are proud to announce that Jacaranda I & II Maintenance Corporations have selected Tinnelly Law Group as their associations’ legal counsel. Jacaranda is a brand new neighborhood in the city of Stanton being developed by MBK Homes. The community features five versatile floor plans with classic Spanish architecture and an urban park area. Residents will enjoy proximity to major employment centers, recreation destinations, shopping, dining, and more. 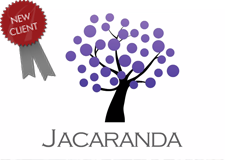 Our HOA attorneys and staff look forward to working with Jacaranda’s Board and management.